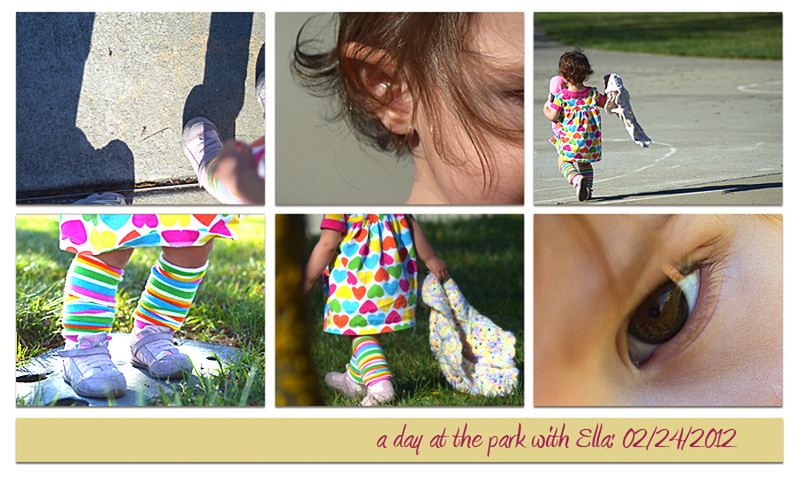 Spent the morning at the park with my youngest Granddaughter – 15 month old Ella. She’s a busy little girl! I was hoping to catch some good closeups of her but she was so happy to be out and running around . . . so I just followed her with the camera. Another gorgeous day here in the Bay Area, soaking up sunshine and Grandbabies! Great storyboard! This quote expresses my feelings for my 3 grandsons exactly…someday hope to enjoy the busy-ness of a granddaughter! You have captured the essence of a toddler sooo well.